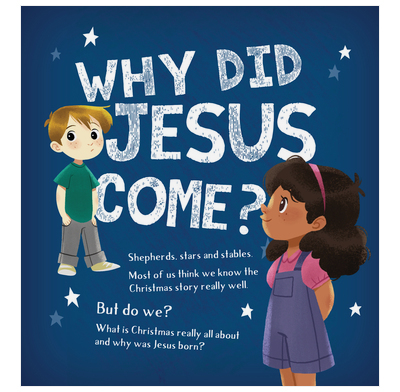 Newly redesigned edition of this best-selling Christmas leaflet looking at why Jesus came. Part of our range of three full-color leaflets with Bible passages, puzzles and questions looking at why Jesus came, died and rose again. Why did Jesus come? is based on Matthew 1 v 18-23, and is ideal for use in children's groups or giving away at Christmas services. Suitable for use with ages 6 - 9.